Powered by NexentaStor 4, NSA-2210 storage appliance provide low cost, multi-protocol IP connectivity for concurrent NAS (SMB and ZFS) and iSCSI SANs. It is a standalone network storage solution with single storage controller head (SCH) and includes built-in 400GB SLC SSD Write Cache, 400GB MLC Read Cache, and 80TB HDD disks. It gives you automated, application-ready storage that provides complete consolidation of all of IP storage needs of a small business or a branch office. 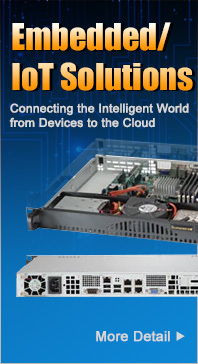 Powered by NexentaStor 4, NSA-2120 storage appliance provide low cost, multi-protocol IP connectivity for concurrent NAS (SMB and ZFS) and iSCSI SANs. It is a standalone network storage solution with single storage controller head (SCH) and includes built-in 200GB SLC SSD Write Cache, 200GB MLC Read Cache, and 40TB HDD disks. It gives you automated, application-ready storage that provides complete consolidation of all of IP storage needs of a small business or a branch office. 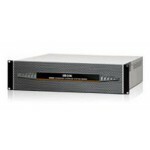 Powered by NexentaStor 4, NSA-2110 storage appliance provide low cost, multi-protocol IP connectivity for concurrent NAS (SMB and ZFS) and iSCSI SANs. It is a standalone network storage solution with single storage controller head (SCH) and includes built-in 200GB SLC SSD Write Cache, 200GB MLC Read Cache, and 20TB HDD disks. It gives you automated, application-ready storage that provides complete consolidation of all of IP storage needs of a small business or a branch office. Powered by Microsoft Windows Storage Server 2012, WSA-2220 storage appliance provide low cost, multi-protocol IP connectivity for concurrent NAS (SMB and NFS) and iSCSI SANs. It is a standalone network storage solution with single storage controller head (SCH) and includes built-in 1.2TB SSD & 72TB HDD disks, with added 10GbE & 40GbE NICs for higher throughput. It gives you automated, application-ready storage that provides complete consolidation of all of IP storage needs of a small business or a branch office. Powered by Microsoft Windows Storage Server 2012, WSA-2210 storage appliance provide low cost, multi-protocol IP connectivity for concurrent NAS (SMB and NFS) and iSCSI SANs. It is a standalone network storage solution with single storage controller head (SCH) and includes built-in 2.4TB SSD & 72TB HDD disks, with added 10GbE NICs for higher throughput. It gives you automated, application-ready storage that provides complete consolidation of all of IP storage needs of a small business or a branch office. Powered by Microsoft Windows Storage Server 2012, WSA-2120 storage appliance provide low cost, multi-protocol IP connectivity for concurrent NAS (SMB and NFS) and iSCSI SANs. It is a standalone network storage solution with single storage controller head (SCH) and includes built-in 800GB SSD & 32TB HDD disks, with added 10GbE NICs for higher throughput. It gives you automated, application-ready storage that provides complete consolidation of all of IP storage needs of a small business or a branch office.